Whether traveling for work or fun, Residence Inn Boise West is conveniently located near local attractions and businesses. Our Boise hotel is by the Boise Airport, Hewlett Packard Enterprise, Micron Technology Inc, Boise State University, and St Alphonsus hospital. We are also within walking distance from the Boise Towne Square Mall, and just minutes from the Taco Bell Arena making us a perfect hotel for leisure travel. Each suite features a full kitchen stocked with the essentials. 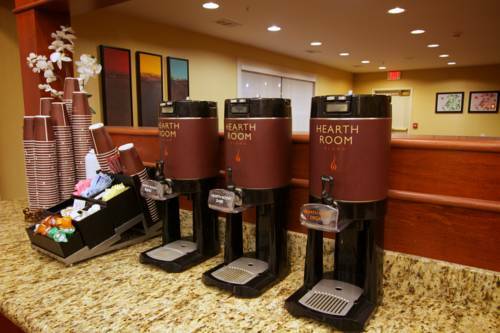 Wake up to our free breakfast buffet each morning and end the day with our The Residence Inn Mix , offered Tuesday nights 6:30PM - 7:30PM. Need to stay productive? Use our 24-hour business center, or work from your suite with free WiFi and ergonomic workstations. Wind down after a busy day by lounging on our luxury bedding and browsing through the array of premium cable and movie channels on your room's flat-panel TV. Book your stay at the Residence Inn Boise West and let us create a comfortable home away from home.